Rheumatoid arthritis is a very serious autoimmune disease that affects an estimated 1.5 million people in the United States. Not only does it have a long-lasting impact on an individual’s quality of life, but it can cause other health implications as well. 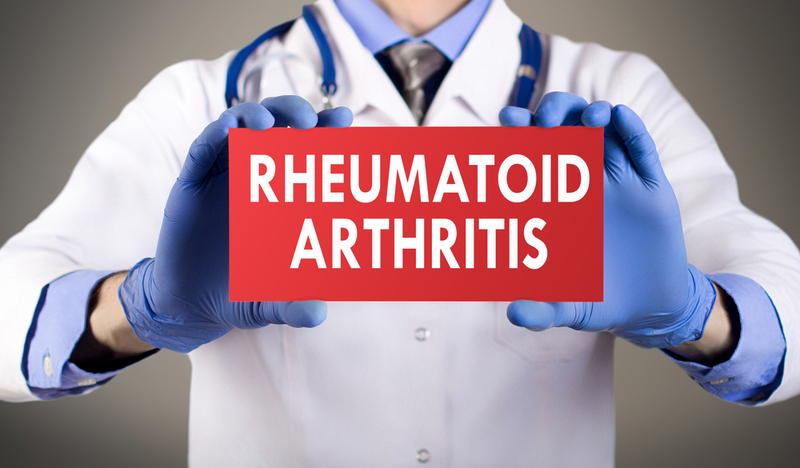 It is important not to confuse rheumatoid arthritis (RA) with osteoarthritis, which is the most common form of arthritis. RA differs from osteoarthritis in that it affects the entire body, including small joints within the hands, wrists, and feet. If you are experiencing any of the RA symptoms we will go over below, it’s important you learn how to find relief naturally and at home. Being diagnosed with RA is not as easy as you may like. Unfortunately, there is not one test that can diagnose this form of arthritis. Instead, doctors look for a series of tell-tale signs and the patient’s medical history. Once you have been diagnosed with RA, you will be able to move forward and find treatment remedies that work for you. For many people, working with a knowledgeable rheumatoid arthritis doctor and finding effective at-home arthritis pain relief techniques is the answer. While over-the-counter medications are certainly there if you need them, we recommend trying the above natural, at-home treatments first. If you are still in pain, please do not hesitate to contact Texas Partners Healthcare Group today.